Poaching is a sad reality in many parts of the world. Animals are killed for their skin, tusks, or horns. Poaching is illegal, but it still happens at an alarming rate. The price poachers earn for the items they steal can be worth a fortune. 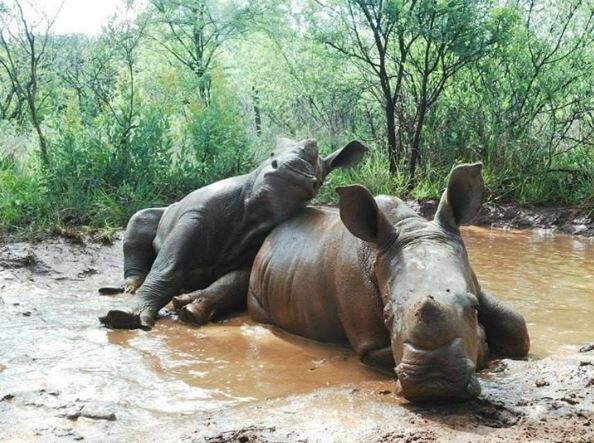 The lives of the animals are of no concern to the poachers. Rhinos are frequent victims of poachers. You may have read some of the stories recently about Rhinos being shot and killed for their horns. 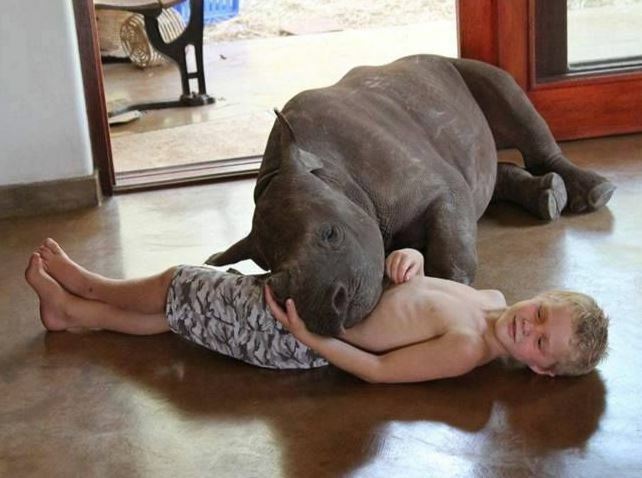 The rhino horn is used in traditional Chineses Medicine and can bring in a lot of money. No scientific proof shows rhino horns can cure any ailment – at all. 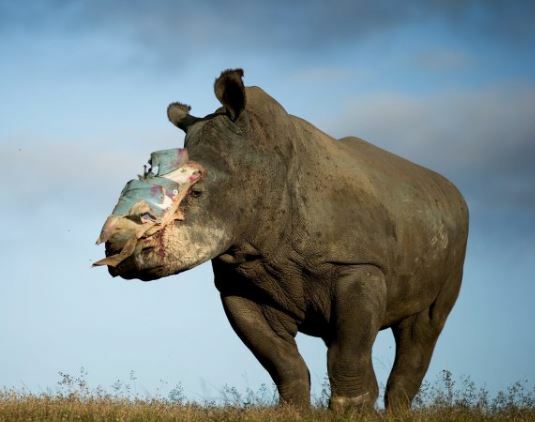 Sadly, many rhinos have lost their lives to poachers. In fact, all five species of rhinos are now on the brink of extinction because of the rampant poaching. 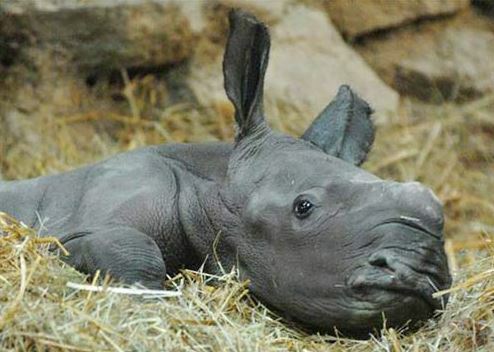 The baby rhino you see here is Sudan. 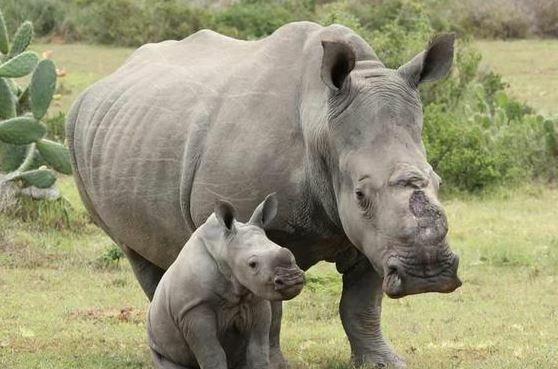 Sudan’s mother was killed by poachers in Kenya. Sudan was taken in and given a home. 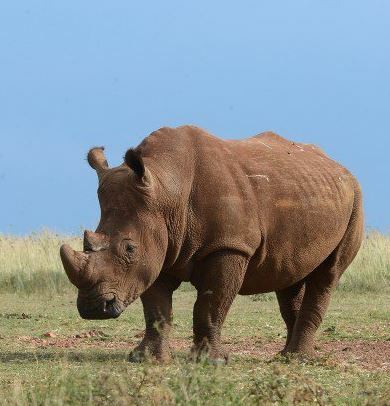 What makes Sudan so incredibly special is that he is the only northern white rhino in the world! All the others of his kind are gone. 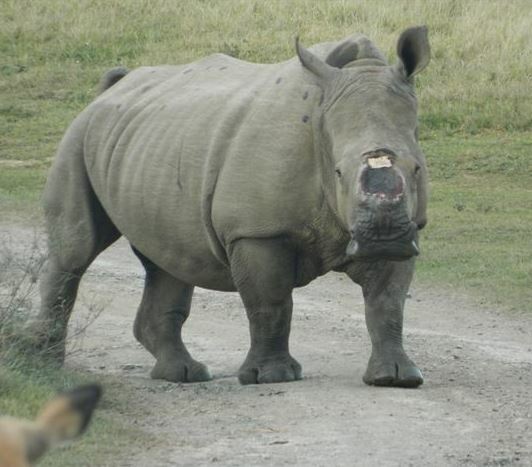 As you can see, this rhino, named Thandi, lost her horn. Thankfully, she survived the attack. 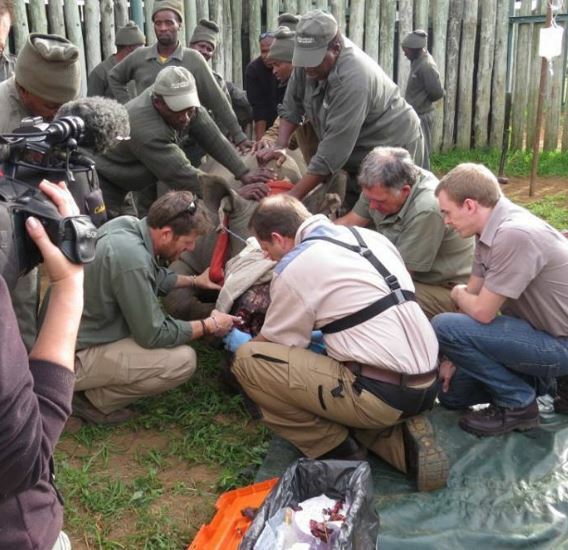 The rhino here wearing the huge bandage is Hope. She was also attacked, and her horns were removed. She was left to die after the attack. 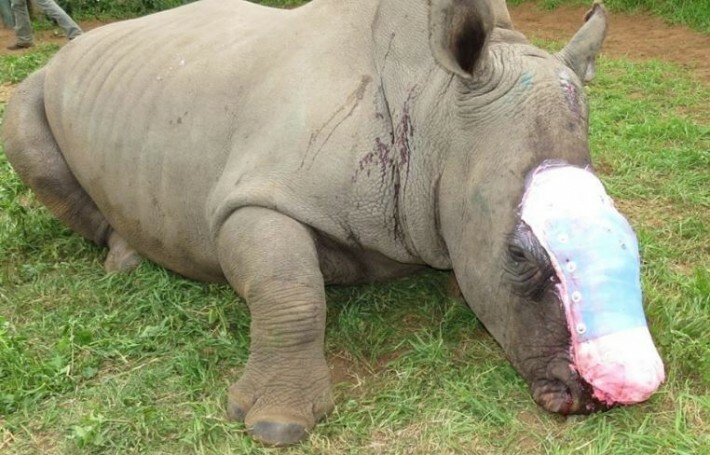 The poachers don’t care about the rhino’s life – they just want the horn. 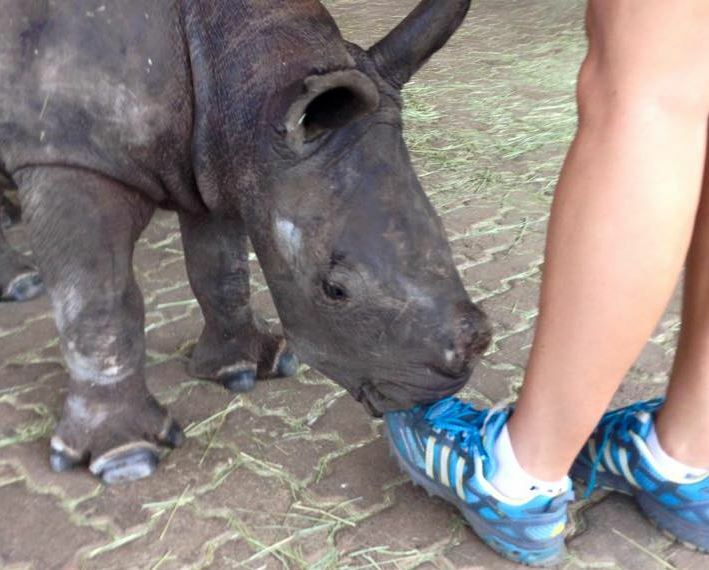 A team of rescuers found Hope and helped her recover from her devastating injury. She did recover!